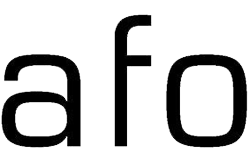 we find the system as a reference to the first lighthouse typology, the alexandria pharos, that used fire and smoke as a signal for guidance and warning. eternal flames are also used to commemorate a person or an event with national significance. the combination of this two significant values, highlights not only our lighthouse as a tribute to the costa concordia disaster, but also make a strong connection to the history of the lighthouse typology. 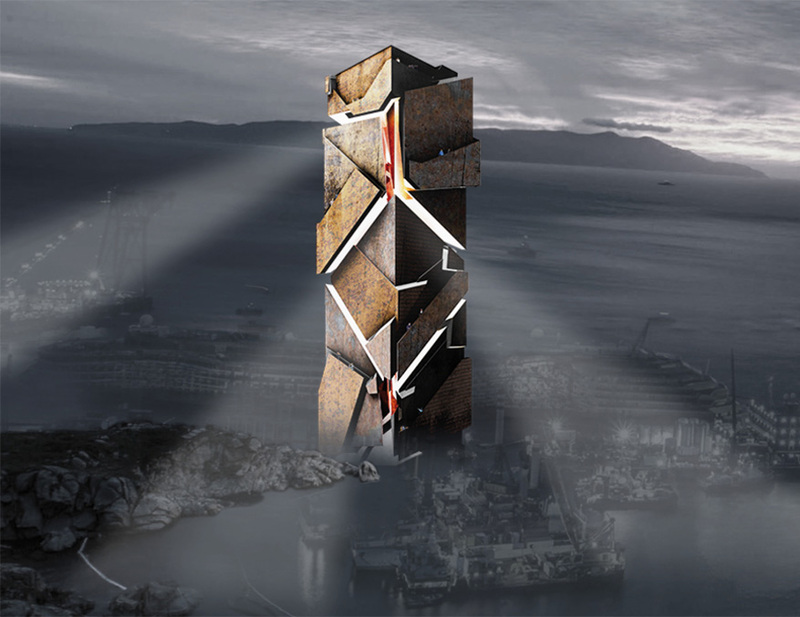 the materialization of the tower emphasizes the idea, using recycled ship metal in order to commemorate the disaster. the circulation of the tower emphasizes the visitors experience, changing all the time inside-out and showing different views as you get closer to the top. ‘fire indicates purifying intentions, rituals of transformation from matter to light or spiritual essence, essential parts of sacred practices and important symbolical strategies’. 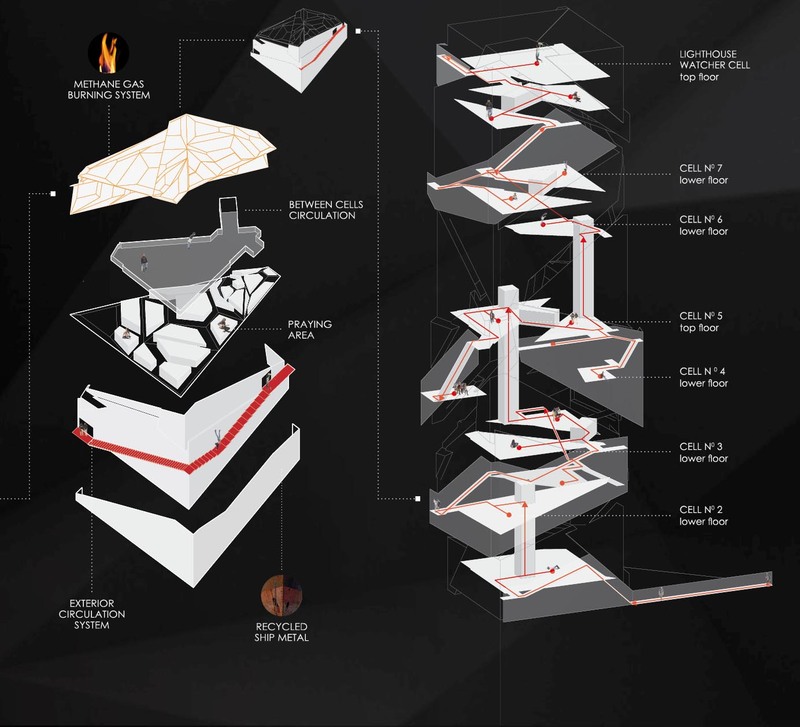 with our new typology, we decide to make a strong connection between the new lighthouse typology to its metaphorical values and the costa concordia disaster. the broken tower brings us the possibility to use each one of the cells as spiritual room where visitors, lighthouses watcher and residents of the island, could find a strong connection with their own essence, pray to their own believes or just have disconnection time from reality. 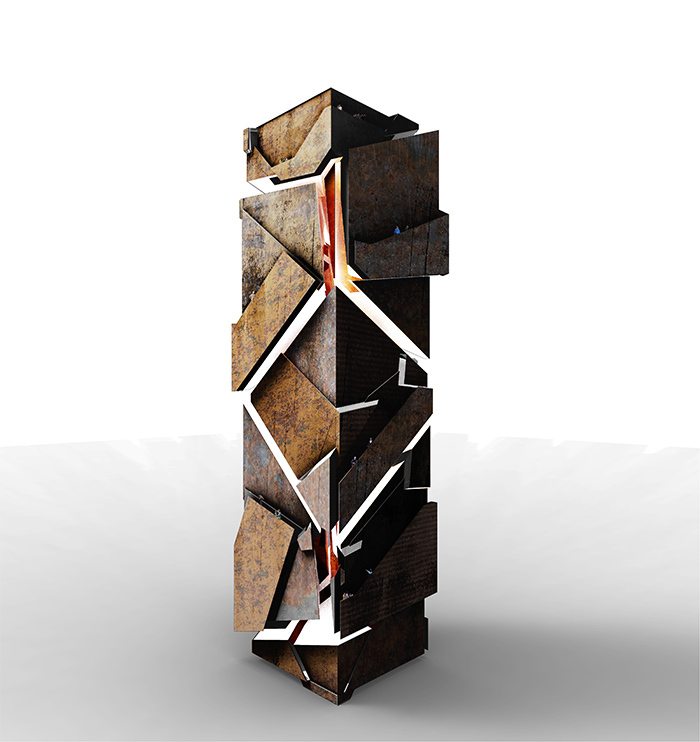 the exterior broken surfaces of the tower filtrate the lights in order to create a magical interior atmosphere. 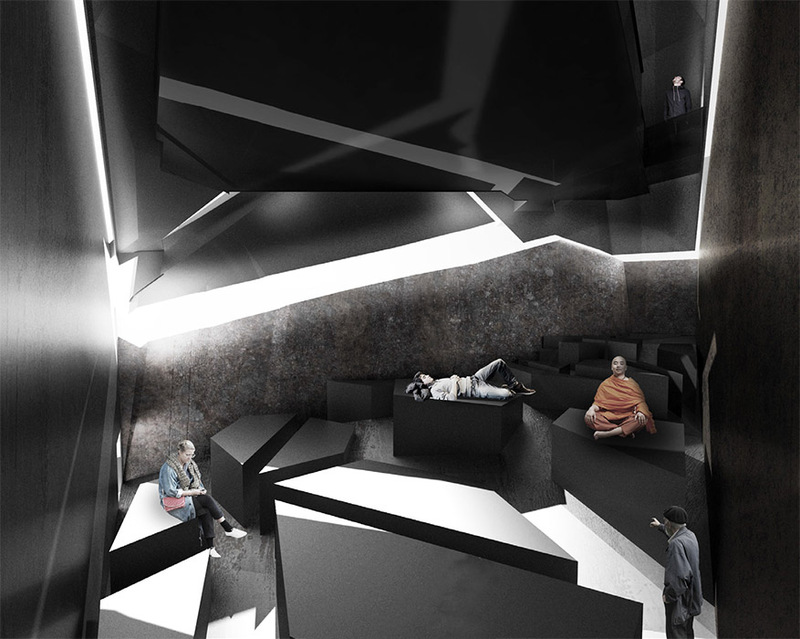 we designed these cells as pure and neutral spaces where everyone can find his own way to make his connection between earth and sky, light and darkness, infinite and finite.